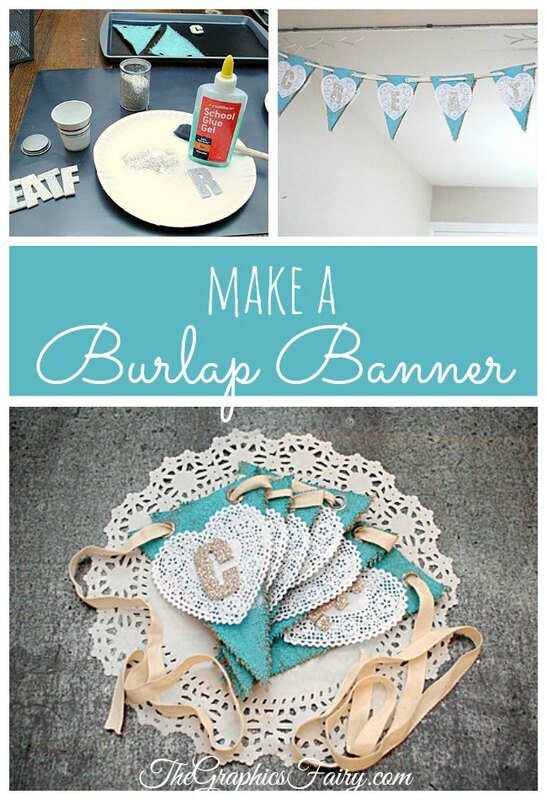 Today I’m going to show you how to make a Burlap Banner! This is a super easy Tutorial that anyone can do! 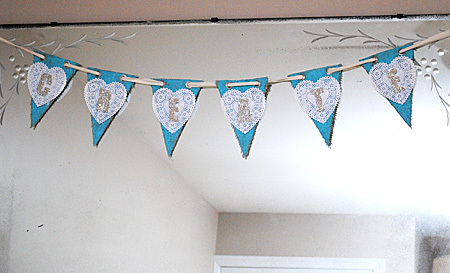 I’ve used a pre-made Burlap Banner from the David Tutera Casual Elegance Collection, and embellished it to make some pretty decor for my new Craft Room! 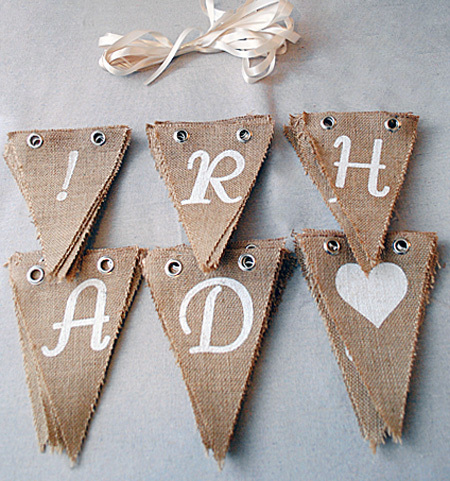 This is what I started with, it’s the Burlap Pennants from David Tutera. The Casual Elegance line is a new line, with so many fabulous pieces in it! If you’re not crafty at all, you could easily use these just as they are, they have letters and symbols, including hearts (cute! 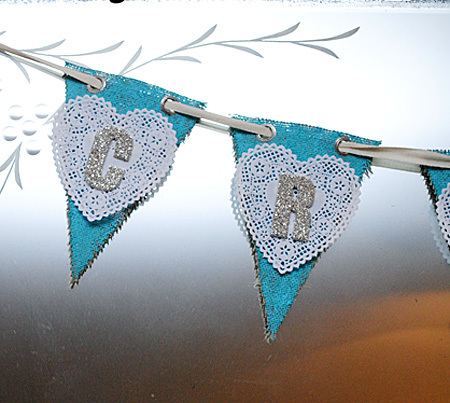 ), already on them and you even get the ribbon to hang them with. 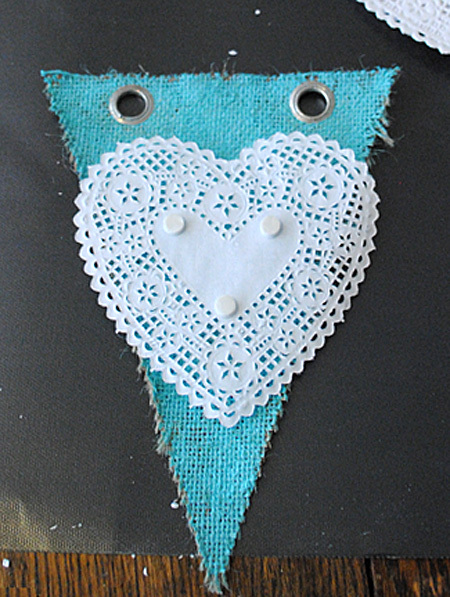 Each pennant has 2 grommets on it, so you don’t even need to cut holes! Easy! These are some more pieces from the line. I was lucky to receive a big stash of these pieces for free. (Being a blogger, does have its perks!) There are so many pretty things in this collection, like Burlap flowers , Burlap and Lace Mason Jar Wraps, adorable stripped Straws, pretty Paper Table Numbers, Chalkboard Stakes, Lacey Paper Lanterns, and even Glass Ball Jars! Of course the sweet vintage style of these are right up my alley! 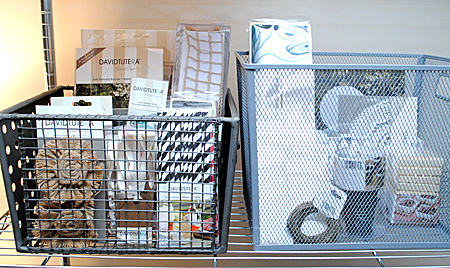 The line is merchandised in the Bridal section, but is so versatile that you’ll find loads of uses for all the lovely pieces. 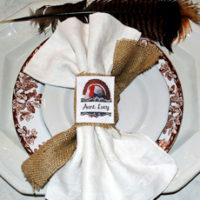 Great for parties, or any type of occasion, or make some pretty decor for your home. If you are planning a Wedding, this collection will make decorating a breeze. David Tutera Casual Elegance marries rustic charm with modern flare, I think these would be the perfect accessories for a dreamy farmhouse wedding! I love that you can add your own personalized details with handmade appeal. The first thing that I did was to remove the pieces from the package. I selected some of the letters that I probably wouldn’t use normally, like X and Q etc. Since I was planning on painting these, I figured I would use the least usable letters and save the others to use as they are in the future. 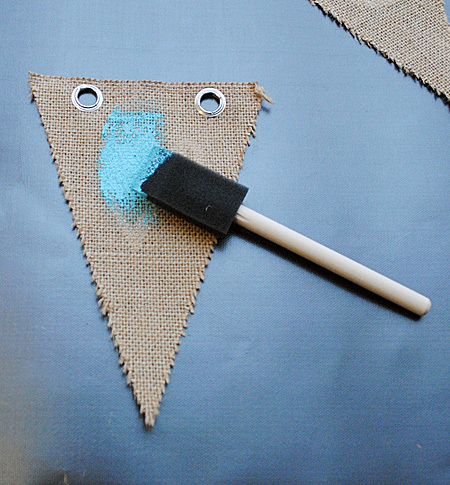 Step 1: Paint the Burlap Pennants in your desired color using craft paint and a foam brush. Take care to wipe paint away from the grommets. Then allow to dry. 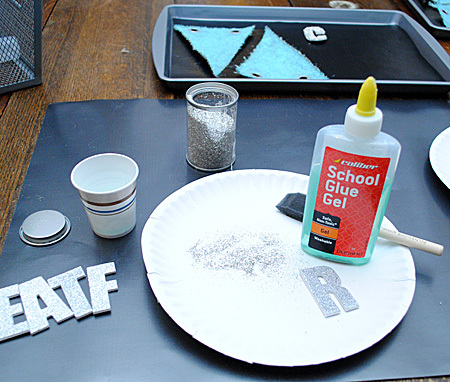 Step 2: Brush some blue School Glue Gel onto each chipboard letter, and coat with the German Glass Glitter (if you’re doing this project with children, substitute with synthetic glitter, for a more child friendly alternative.) And set aside to dry. Step 3: Apply the paper doilies using glue dots or foam mounting dots. 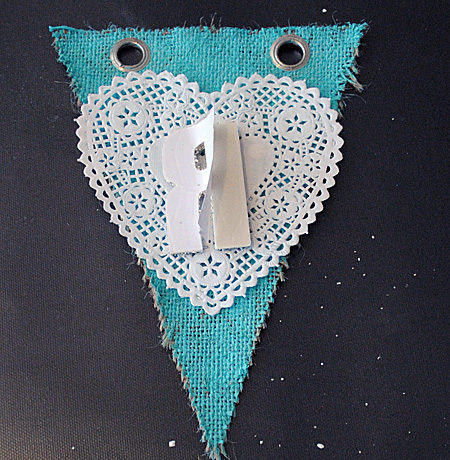 Step 4: Apply the Glittered Chip Board letters to the center of the paper doilies. My letters had peel and stick backs, if yours don’t, you could hot glue them on. Step 5: The Pennants are done, now just string them together with the ribbon in the package, or whatever ribbon you prefer. I used some ivory Twill Tape for mine. I think the turquoise adds a nice splash of color to my antique etched mirror! I love how easy this was to make, there was no cutting or measuring the burlap, no frayed edges and the grommets are such a nice touch! You can purchase the David Tutera Casual Elegance Line exclusively at Jo-Ann Fabric and Craft Stores. Disclosure – I wrote this post as part of a sponsored campaign for Darice and Blueprint Social. All opinions and love of David Tutera Products are my own. Be sure and check out the other pretty projects below! 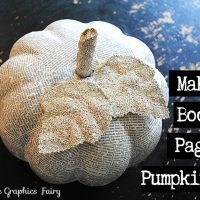 What a pretty banner and great tutorial! 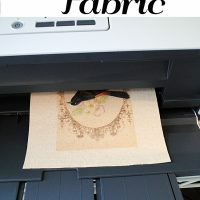 Perfect for your new craft room! I love it! 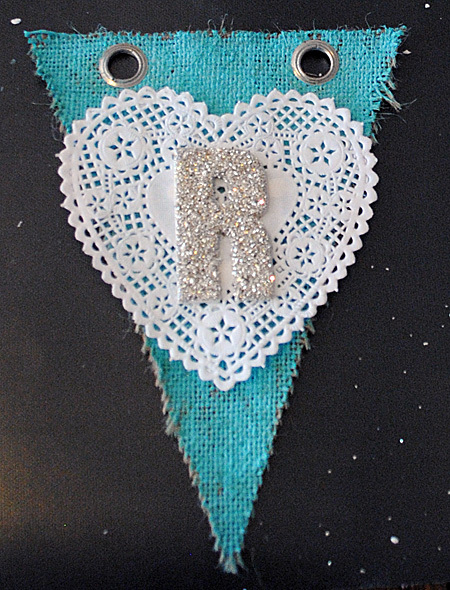 The turquoise-burlap-glitter combination is great! I love how pretty yet inspirational the banner is! And I love the turquoise, too! I need to get some inspiration in my craft room. Thanks Rachel! I think turquoise is my favorite color right now, I might make a few more things in that color, to go with the banner! Wow Karen, I love your banner- the turquoise is so pretty! I love taking store-bought items and making them your own. This would be a perfect customization project for a mountain bride. Thank you! Thank you Christie! Yes, it would be perfect for a Mountain Bride! Very pretty banner! I love the table below your hanging banner too…is that zinc metal on top? I’ve been wanting to top a couple surfaces with sheet metal, but no one knows what I’m talking about when I call the metal guys around here. Did you do the table yourself? Thanks Whitney! It looks like Zinc, but it might be tin though. The table is from a line that I used to sell in my shop, before I closed it down. 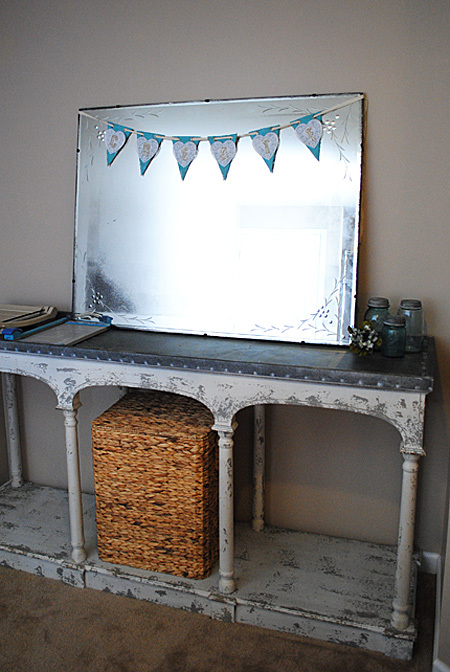 I love that it looks old and the metal on the top makes it nice and durable for in my craft room! Ooooh! PRETTY! I’m doing this campaign too, but I didn’t get the banner in my box! Nice! Thanks Amy! Oh, I thought we all got the same stuff. Can’t wait to see what you make! Karen, this is so pretty! I love the turquoise paint and glitter letters. Thank you for your sweet comment Genie! Aw! Thanks Laura!! Hope you’re doing well! Wow, lots of feed back on that project. 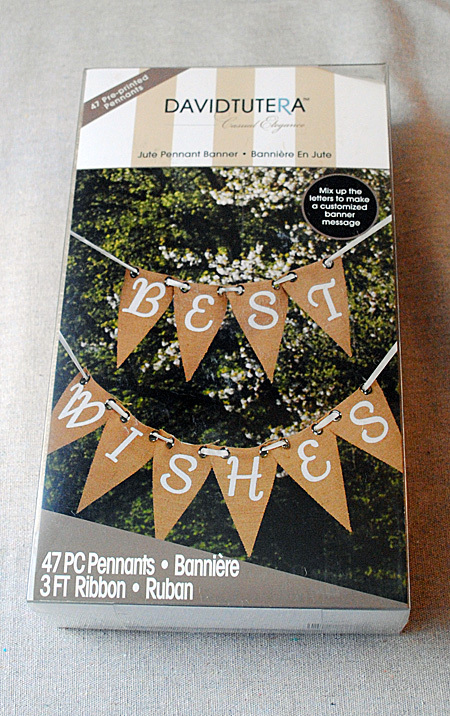 If I go to JoAnn’s to buy the ready made banner I’ll be sure to use a coupon. I have round doilies, glittered letters I got at HL on clearance. It would be nice not to have to measure and cut the burlap, (makes me itchy) and have the grommets already on. Great project Karen, so glad you shared it. Looks great in your room on your mirror. Love the color you painted the burlap. Thanks JaneEllen! It does make it a lot easier with the burlap all precut and grommeted and all! Then you can just focus on the fun part of decorating and embellishing it! Very cute! Love how it looks with the glitter. creating a post or elaborating on a lot of the subjects you write about here. Its not my first time to visit this site, i am browsing this website dailly and take fastidious information from here everyday. need fork and knife to assist in cutting these into smaller pieces before placing into the mouth. an 8″ bread knife, a 5″ boning knife, an 8″ chef’s knife, a 6″sandwich knife, a 5″serrated utility knife, a 4. Perhaps, two people work together in the kitchen, so you need duplicates of certain knives. calling is not addvised during this tiome because doing so will just cause yyou to seem too available. Before it reaches the ground, catch it and continue searching for someone speciaql who will unexpectedly come to you to wish you good morning on this special occasion. My partfner and I stumbled over here by a different website and thouht I should check things out.